Many researchers at the Center for Childhood Cancer Research are involved with clinical trials sponsored by the Children’s Oncology Group. The goal of these trials is to assess new cancer treatments including immunotherapy, targeted cancer drugs and proton therapy. The Children’s Oncology Group (COG) is the world’s largest organization exclusively devoted to childhood and adolescent cancer research. The COG unites more than 9,000 experts in childhood cancer at more than 200 leading children’s hospitals (including The Children’s Hospital of Philadelphia), universities, and cancer centers across North America, Australia, New Zealand, and Europe in the fight against childhood cancer. Of the 14,000 children and adolescents diagnosed with cancer each year in the United States, more than 90 percent are cared for at COG member institutions. 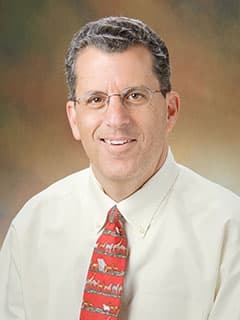 Peter C. Adamson, MD, a faculty member of the Center for Childhood Cancer Research, is the current chair of the Children’s Oncology Group and has overall responsibility for the scientific direction and administration of this National Cancer Institute supported research enterprise. At any given time, the Children’s Oncology Group oversees more than 60 active Phase I, Phase II and Phase III pediatric cancer clinical trials. These trials include front-line therapies for childhood cancers, studies aimed at determining the molecular mechanism and underlying biology of pediatric cancers, and trials designed to evaluate new emerging treatments, supportive care and survivorship. Because of the growing complexity of pediatric cancer treatment, many of the active trials at the Center for Childhood Cancer Research are conducted in cooperative partnerships with the Children’s Oncology Group, including to an increasing extent with biotechnology and pharmaceutical companies. In addition to work directing the COG, to better meet the demand for additional highly trained research personnel, the CCCR was recently awarded a grant from the National Cancer Institute to develop a research training program in pediatric pharmacoepidemiology to help physicians identify new treatment regimens, improve supportive care, and enhance clinical outcomes for pediatric cancer patients.